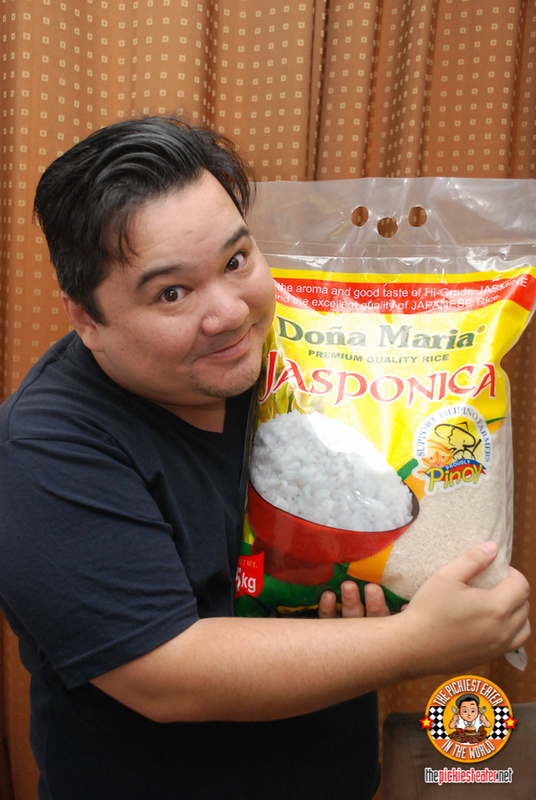 THE PICKIEST EATER IN THE WORLD: #LevelUpYourRice with Doña Maria Premium Quality Rice.. And an Instagram Contest!! From the start, you can already tell that Doña Maria Premium Quality Rice is truly of premium quality and that it's worth every peso. For one, the packaging is very nice and clean. 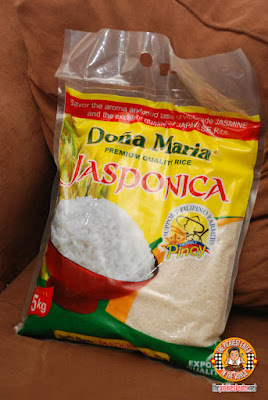 But the goodness of Doña Maria Rice goes beyond packaging. It's got a satisfying taste, good aroma, and soft texture. 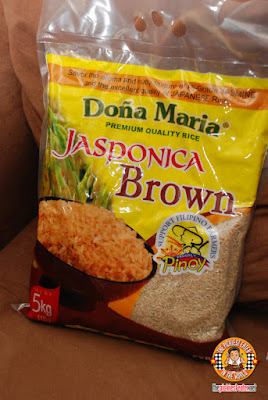 It's seriously the type of rice that me and my family love. Another interesting fact about Doña Maria Premium Quality Rice is that this is the only rice brand in the Philippines that creates rice doing the whole process. From plating, to harvesting, to milling to packing, and distribution. 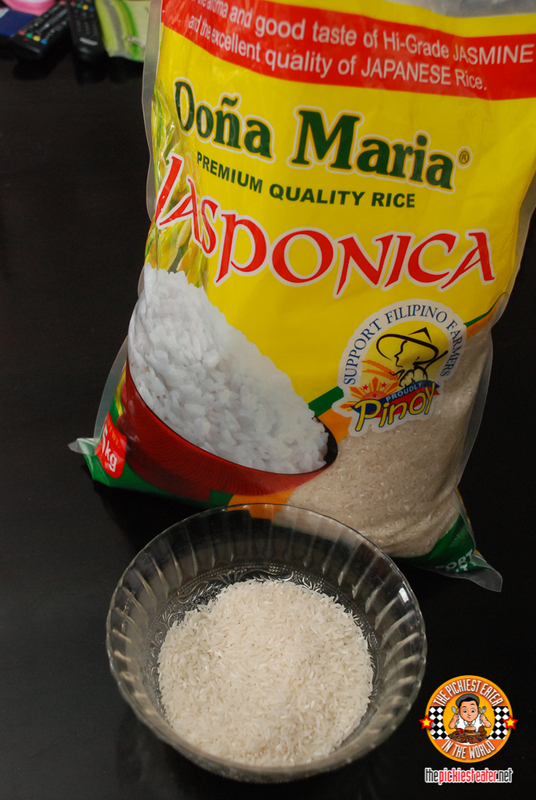 It is proudly made here in the Philippines, although it may taste like imported rice. 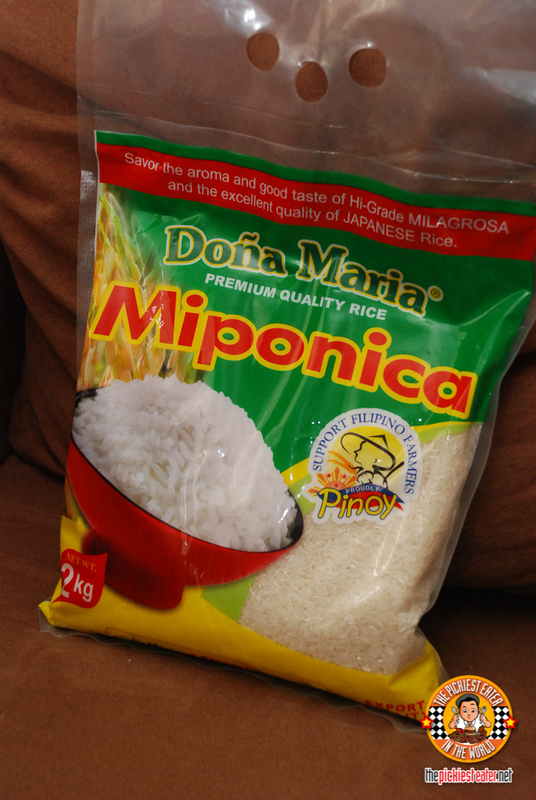 The Miponica White Rice is Glutinous and fluffy, like the texture of a Milagrosa rice. 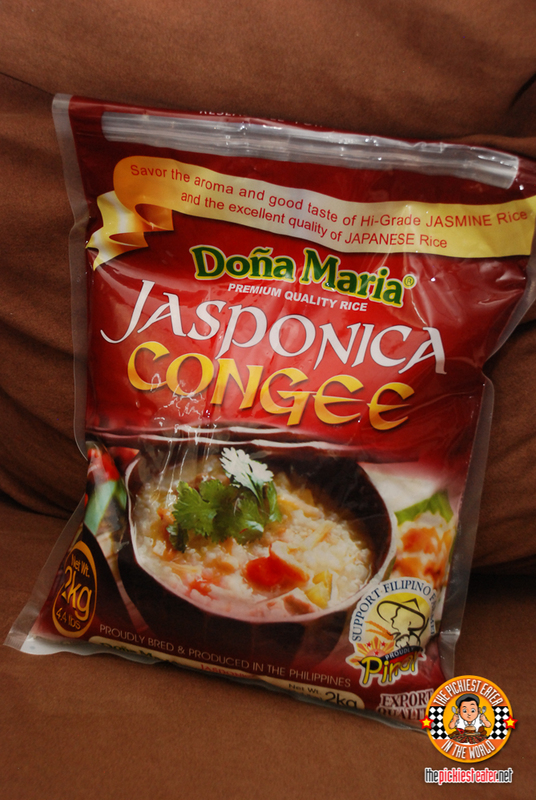 but the quality of a Japanese rice. 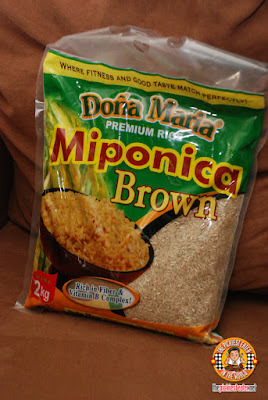 The Miponica Brown Rice has the nutrients of brown rice while having a chewy texture. and last but not the least is the Jasponica Congee. 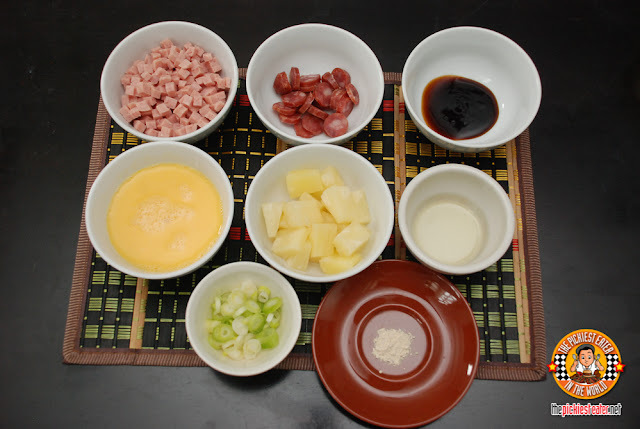 This is perfect for making risotto, sticky rice and maki. 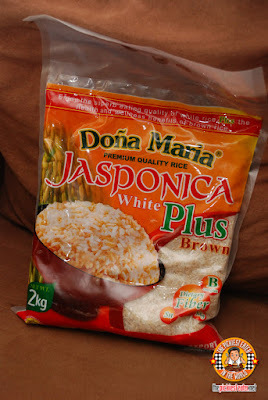 SL Agritech Corporation (SLAC), the makers of Doña Maria Premium Quality Rice, goes above and beyond to make sure that their quality stays the same by having the best rice breeding technology here in the Philippines. Their hard work didn't go unnoticed as SLAC has been certified with the ISO 9001:2000 for Hybrid Seeds and Hybrid Rice Production last February 2009. 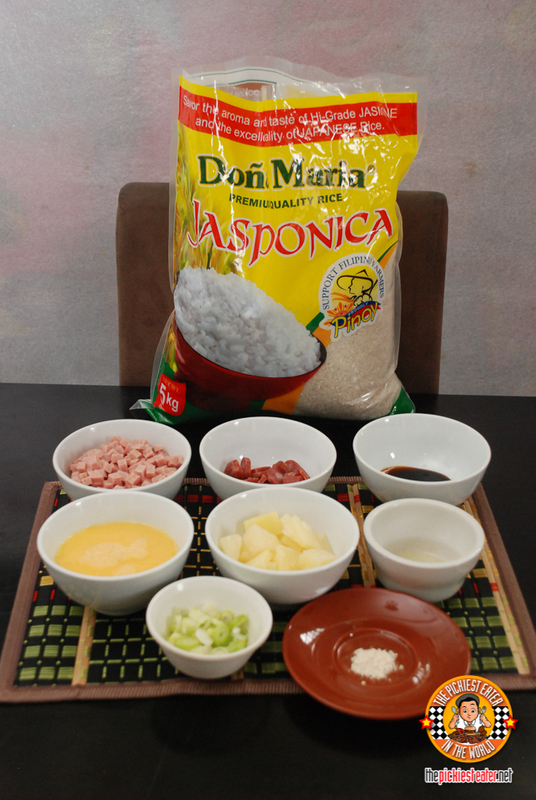 As soon as you cook Doña Maria rice, you will immediately see and smell the difference. It's so white and fluffy! And the aroma is clean and appetizing! Seriously. You really have to try it to see the difference. Island Style Fried Rice With Dona Maria Premium Rice! 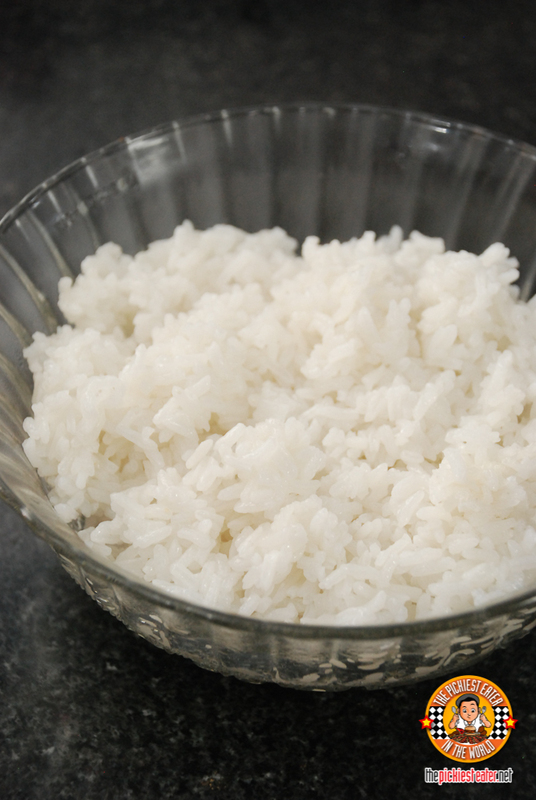 We love plain rice but we decided to do this recipe that we found on the internet. 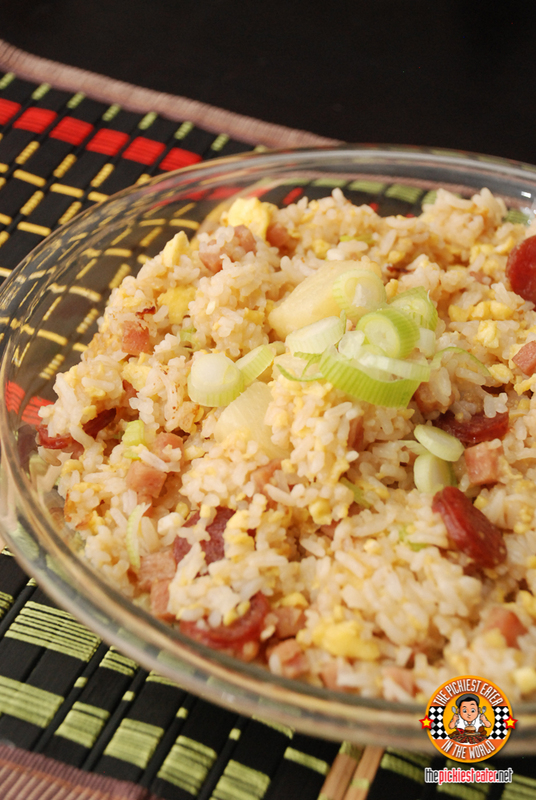 ISLAND STYLE FRIED RICE! I like sweet, Rina likes Spam (who doesn't?) 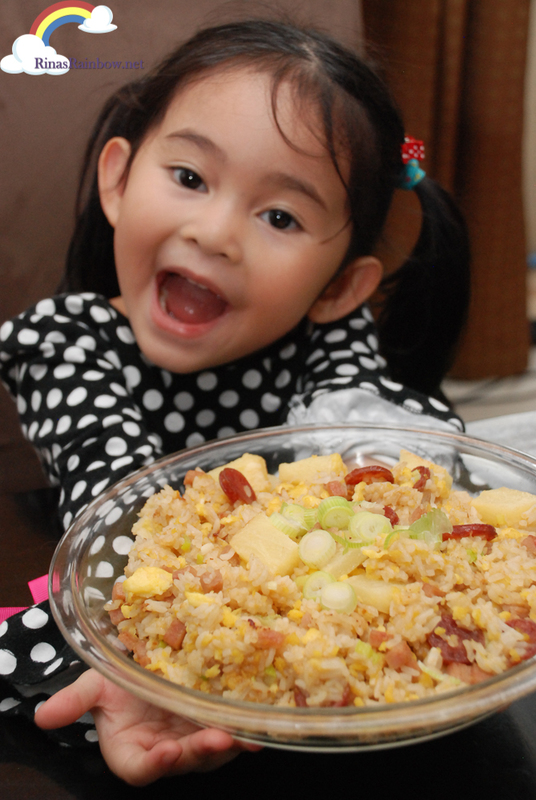 And our little Rain loves pineapples. So this was the perfect recipe! 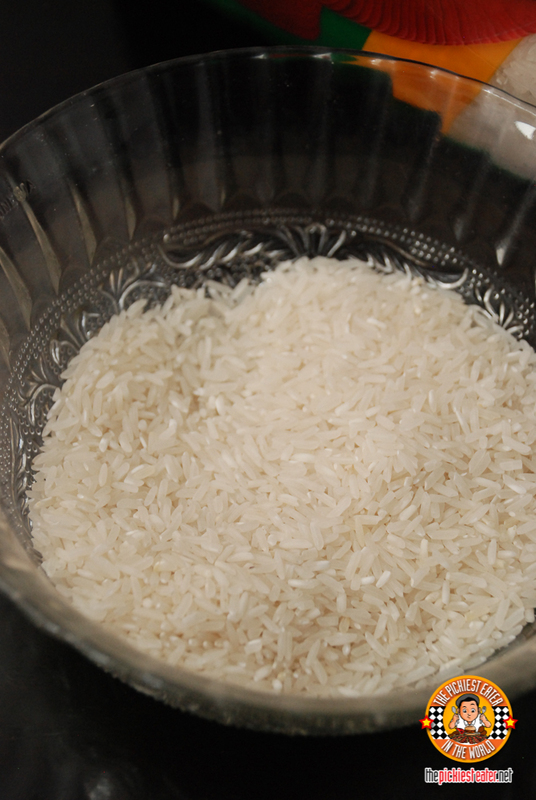 First step is of course to cook the rice using a rice cooker. Set aside and let it cool. Heat 2 tablespoons of canola oil in a pan over medium heat. 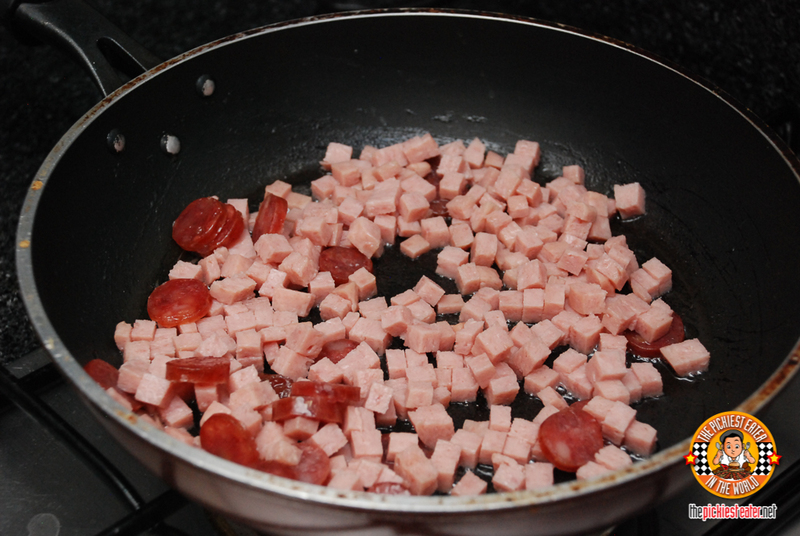 Fry the diced spam and sliced Chinese sausage. Once they are fully cooked, remove the spam and Chinese sausages from the pan, put it in a bowl, and set aside. Using the same pan, pour the beaten eggs. 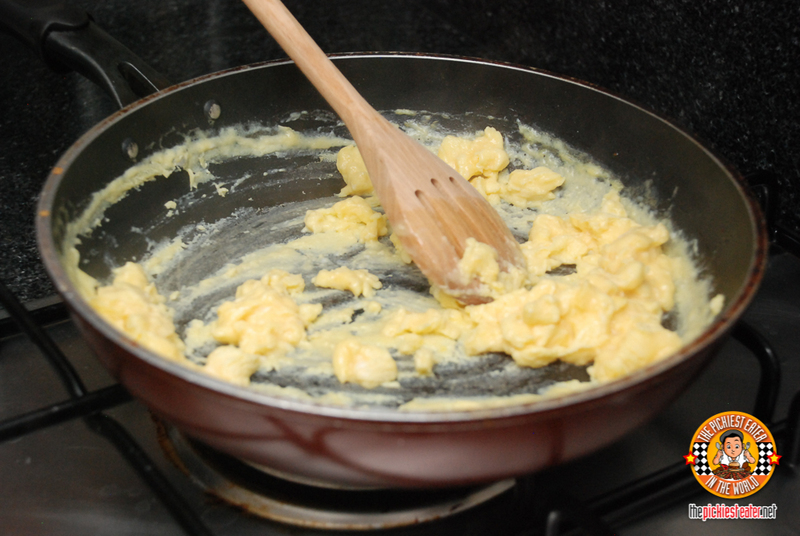 Cook it scrambled style, and then set aside. Next is to heat 2 tablespoons of canola oil in a large non-stick pan over medium heat. 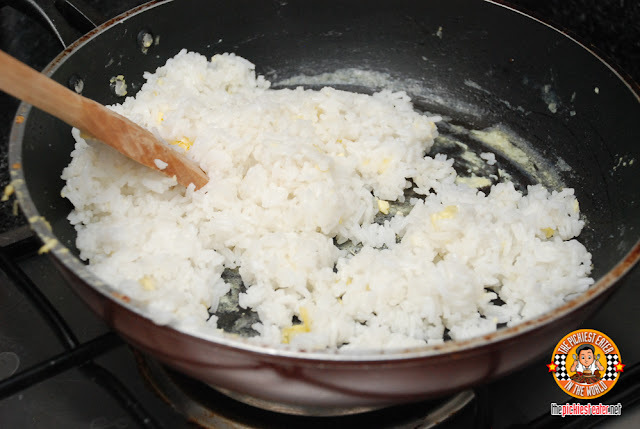 Once the oil is hot enough, dump in the cooked rice and stir. Keep stirring for around 2 minutes. 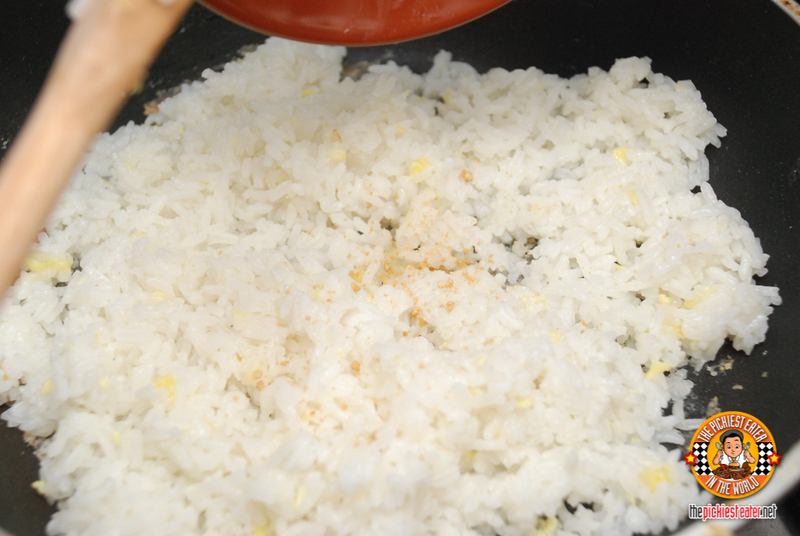 Then add the garlic powder and once again toss the rice around for around a minute or so. 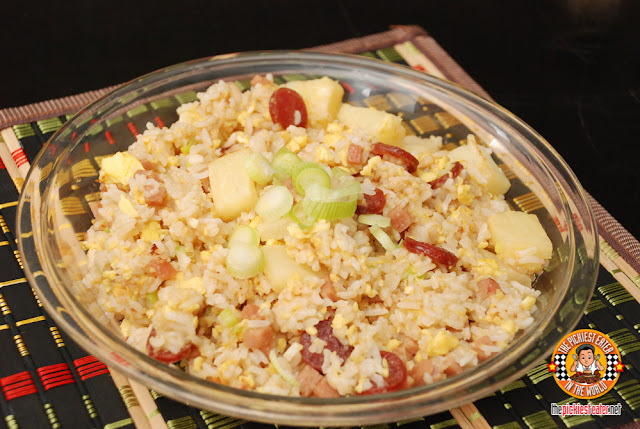 Once the garlic powder looks evenly distributed all over the rice, dump in the spam and Chinese sausage, the scrambled eggs, pineapple, and oyster sauce. Keep stirring until everything looks completely mixed in. 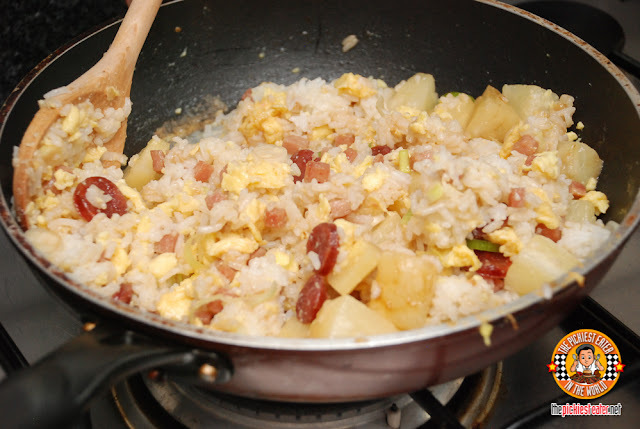 After that, add in the green onions, stir for another 2-3 minutes and you're done! Final product! 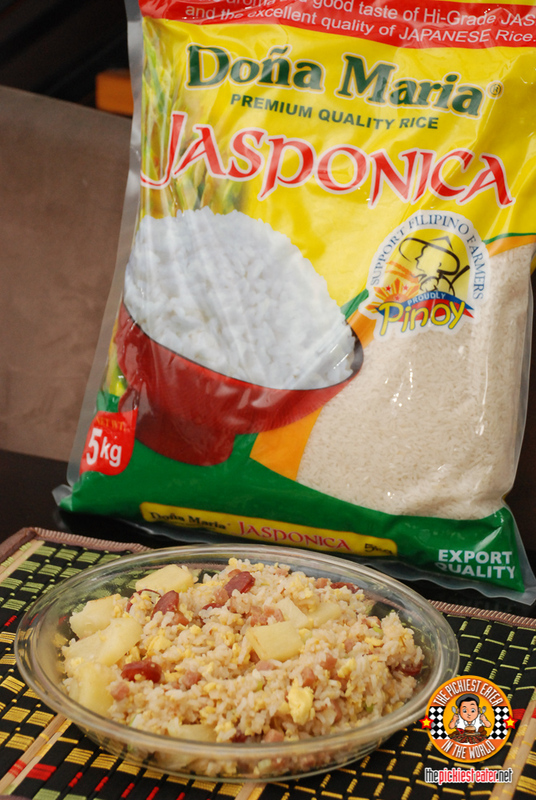 It's so easy to do, the ingredients are simple, and it's delicious! The fluffiness of the Doña Maria Jasponica Rice really did the trick for us! And I couldn't agree with her more! GET READY FOR A CONTEST!! Get Your Rice recipes ready, because as a way of welcoming it's newest Celebrity Endorser, Doña Maria Premium Rice is going to hold a contest on instagram welcoming their newest Celebrity endorser! You can take part in the contest in just Three Easy Steps! STEP 3: Don't forget to Follow and tag @DonaMariaRice on Instagram! And a VIP Pass to meet Doña Maria newest Celebrity endorser.. Do you know who he is? The Contest will run until end of February 2016. Dona Maria will choose and announce the winners on the Official Instagram Accounts of Tim Yap (@OfficialTimYap ) and Phoemela Baranda (@PhoemelaBaranda), as well as their respective Official Facebook Pages! Don’t forget to follow @DonaMariaRice on Instagram and Like their Facebook page for more details! 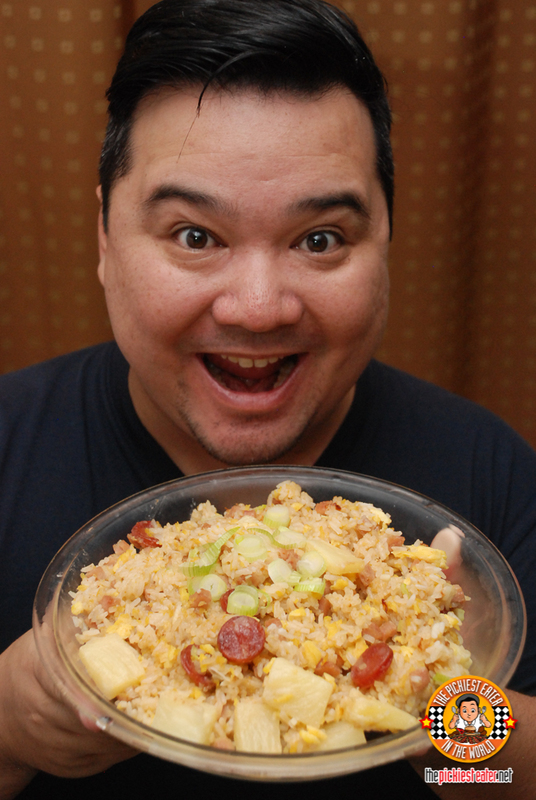 I am so looking forward to seeing your recipes on Instagram!